A common problem faced by most digital publishers is being able to highlight and pick out certain pieces of content or messaging to emphasize to their audience. This problem is exacerbated if you're managing several thousand pieces of incoming content from various sources around the web and user generated content from social networks. In an ocean of voices, it's often easy to have your own message get drowned out by the waves. It's critical to keep your audience engaged with new, dynamic content yet still keep your message front and center. In this post I wanted to take a look at a few of the scenarios and situations where the ability to highlight and feature content can be critical to your brand's success. Visual marketing and shoppable Instagram feeds have become a hot trend among online stores. The reasons are obvious in the age of social media and influencers. More and more consumers are discovering new products directly from their social media feeds, so what better way to capitalize on that behavior then to bring it directly into your store. Introducing shoppable user generated galleries at the browsing phase of a shopper's experience, or directly at the point of sale at the product page increases your likelihood of gaining a sale and a new fan. For shoppable product galleries, often you'll have items that are top sellers that you want to highlight. Or if you have a popular influencer posting about your product, you'll certainly want to engage with that influencer's audience by featuring their posts. Or simply, you may have had a customer post a really great looking picture about your brand that you want to emphasize to encourage other customers to do the same. Online publishers such as news sites and magazines are finding that a real time news stream paired with their long form content is a powerful draw for readers. Encouraging users to view your site as a source for detailed, in depth analysis of a topic, in addition to shorter form real time snack-able content creates a more engaged user that continually visits your site for updates. Furthermore, certain stories or world wide events are perfect candidates to employ some citizen journalism. The recent Paris Climate Accord generated worldwide interest with people commenting and sharing their ideas across the world. The New Internationalist used Spotlyte to capture this worldwide attention to create a shared worldwide discussion forum. They paired this next to their own high quality in-depth articles to become a destination for their readers interested in the daily updates of this important accord. For readers that are browsing through the real time news feed, or the worldwide discussion forum, it's easy to re-direct them back to your own long form articles by inserting them as featured content throughout the feed. Other publishers may have partnerships or special sponsor relationships with brands to focus or cover certain events. For these publishers, it's important to insert their sponsors or partner content right into the stream of dynamic content. Wanderlust and friends sharing travel adventures and pictures with friends is not a new experience. However, travel destinations realizing that they can benefit from this very regular human behavior is a new development. Destination marketing with user generated content is an effective way to generate interest and buzz for your destination. Not only do travelers love taking pictures of their travels, but they love sharing it across social media to impress and delight their friends of the great places they've been. As travelers visit a destination website to decide what's special about a particular destination over the multitudes of others that they can visit, it's important that the best and most unique locales and scenery are featured. Featuring these pieces of content within the user generated stream of travel photos will highlight the popularity of the location in general, but draw attention to a destination's must see spots. 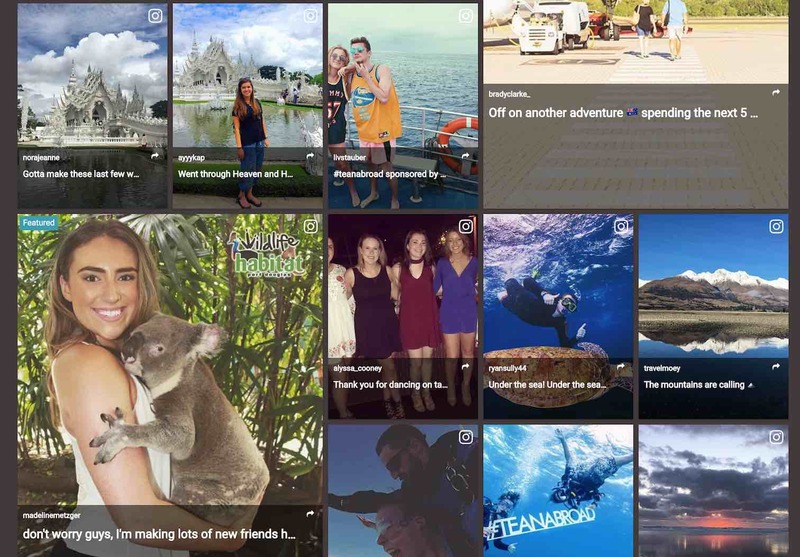 User generated content marketing is an important tool in any marketer's toolbox. The power of social proof and influencers has changed the landscape of brand marketing and engagement with consumers. Brands are using hashtag campaigns for product activations, brand recognition campaigns, and simple advertising campaigns. 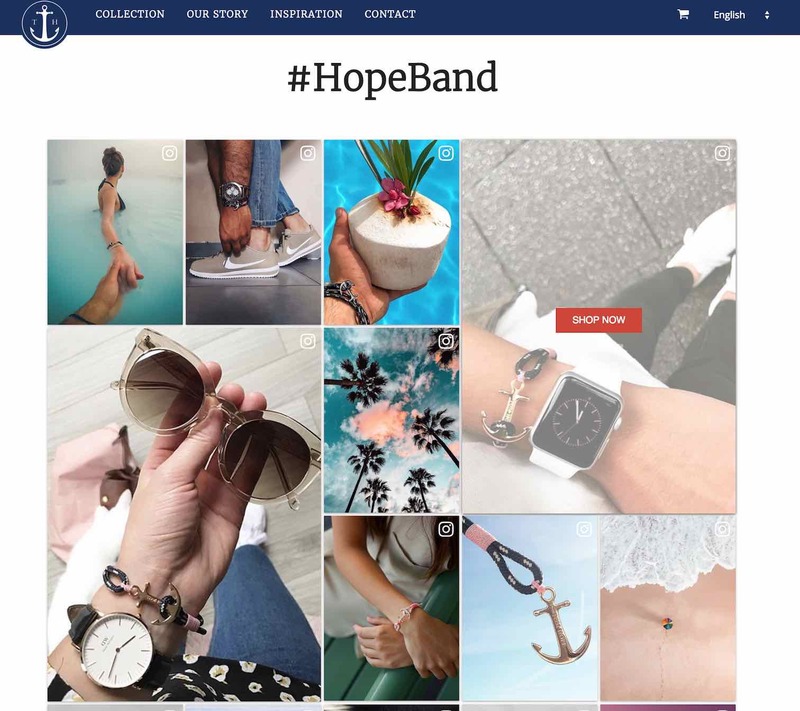 As the public is encouraged to interact with the brand through the hashtag, a campaign microsite is typically created to capture and aggregate all the social media content. Fans of the campaign that visit the microsite can be redirected to your brand or campaign goals. The ability to insert featured and branded actions into a user content feed can turn a lackluster campaign into an engagement winner. 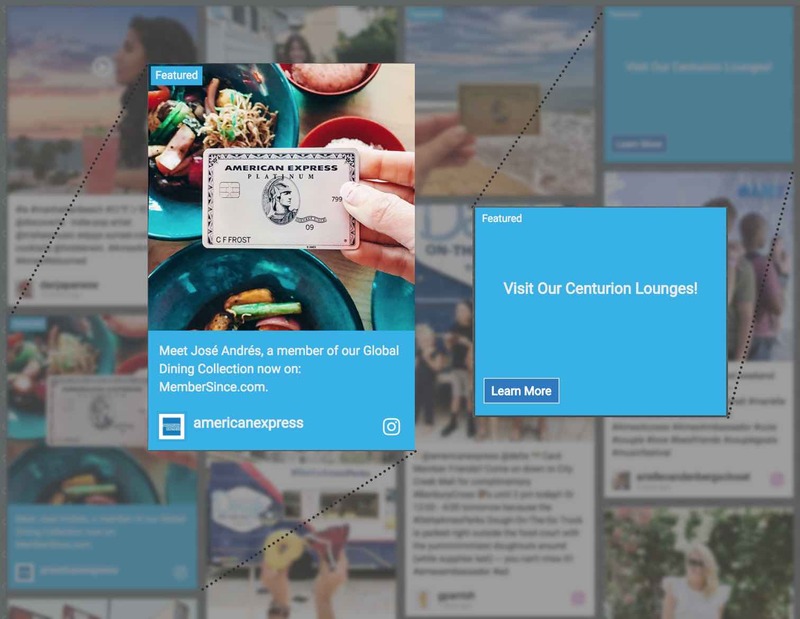 Take a look at the following American Express campaign that utilizes featured posts and actions to reinforce the campaign goals and message. Choose a modern social media aggregator and content management system like Spotlyte that enables you to handle these situations and more with ease. Featuring and highlighting branded content and actions should be a primary goal the next time you're faced with any of these scenarios.